Learning to fly advanced maneuvers helps you become a better RC pilot and gives you the ability to perform aerobatics more smoothly and precisely. 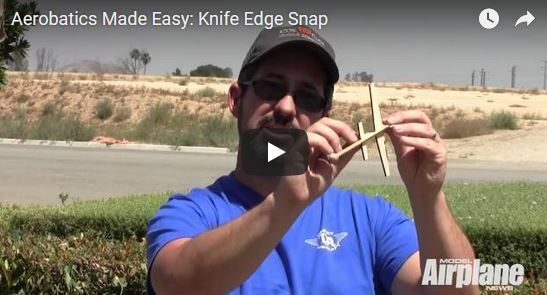 This video Flight Tip by Jason Benson explains how to master the impressive Knife Edge Circle with 1 1/2 snap rolls move. Years ago I saw Chip do a rolling circle with snaps at each 90…. I think he changed roll directions too!! phew! !